Lastly, just a cyber high-five to all the math-devotees attending (not me) "Twitter Math Camp" which is taking place now through the weekend on my old stomping grounds of the Claremont Colleges. Hooray! -- hope you're all able to get at least one shower in during the proceedings ;-) (...drought restrictions). "Above all he loves knowledge, and he seeks to know everything about the universe... For his own part, he calls himself a professional nonunderstander. The pursuit is what counts, and chasing after Conway's promiscuous curiosity and probing his ebullient intellect is this book's modus operandi." I can't imagine spending 6+ years of my life, off-and-on, following another individual around, taping and interviewing them, plowing them with questions. But luckily for us, Siobhan Roberts could. Her book "Genius At Play" is an astounding accomplishment (a total 8 years in-the-making), rich in its portrayal of a man's life, and his mathematics. John Horton Conway is routinely described with adjectives like, "brilliant," "versatile," "creative," "charismatic," "genius," but also, "zany," "eccentric," "juvenile," and even "confused." Or perhaps best characterized at one point as, “Archimedes, Mick Jagger, Salvador Dali and Richard Feynman all rolled into one" -- how could such a biography not be fabulous! Atticus Finch, eat your heart out! Mathematicians, more than most (I believe), see the entire Universe as a playground, and few typify this more than Conway, who has admitted at times, to never working a day in his life (because he's an eternal child, just having fun). I think I once saw Conway referred to as "a mathematician's mathematician"...I'm not even certain exactly what that means, but Conway is definitely the sort of character that mathematics needs as an 'ambassador' for a subject so often viewed by the public as dry and sterile. In these pages one man's love and enthusiasm for numbers is made palpable, if not infectious. 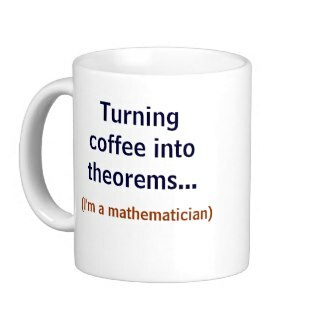 At 77-years-young, Conway has been contributing to mathematics well-passed the 40-or-so-year-old cutoff that some declare for productive mathematicians. By the way, the "acknowledgements" section at the end of this book reads like a Who's Who of interesting, fun, modern mathematicians/thinkers. The volume looks dense and imposing (400+ pages), but is chock-full of marvelous stories, anecdotes, vignettes... I couldn't pick out 2 or 3 favorites, without wanting to mention 10 or 15 others just as entertaining, so I'll let you read the book and latch on to your own top tales. Also, a surprising amount of the volume is in Conway's own words; frequent and sometimes lengthy passages from the man himself, that really lend the flavor of the character that he is. Roberts' own writing is splendid, but I did especially enjoy these monologues, imagining Conway settled in a big ol' lounge chair, staring at the ceiling, explaining deep thoughts to the uninitiated, in his gruff voice. At times in the narrative, one wonders if Conway is more showman and performance-artist than the frumpy, messy, absent-minded professor he portrays himself as... but it never takes long to be re-convinced that the latter is indeed the true Conway. The book touches upon (as it must) a remarkable array of math topics that would be hard to come by in a bio about any other living mathematician. But Conway has been active and productive in number theory, group theory, game theory, recreational mathematics, sequences, topology, lattices, combinatorics, symmetry, infinity, and perhaps most notably, "surreal numbers" that Conway invented (...worth noting it was Donald Knuth who really made "Surreal Numbers" famous in a novel of the same title). "The Game of Life," that Conway is best known for, gets its due here, but not an inordinate amount, as it is a topic Conway himself is largely sick of. 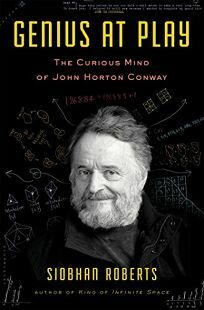 Indeed Conway invented a great many games (almost ceaselessly) throughout his life (Hackenbush, Dots and Boxes, Phutball, Sprouts, and a programming language "Fractran," to name a few...). Beyond games, Conway ranged all over the place: tiling, "partizan" theory, knots, groups, sphere-packing, symmetry, lexicographic codes, mental calendar calculation, the "Thrackle" problem, even a "Free Will Theorem," almost always for fun, with little concern about application. And bits of it all shine here. His most well-known book, by the way, was "On Numbers and Games." "I ask a lot of (ostensibly stupid) questions. And many of the questions I ask many, many, many times. I circle around things until I’ve got a semi-coherent intuitive understanding. At least that is how it feels to me. Then I go back and fact-check, and correct all the nuances that I inevitably got wrong." And I could really sense that 'circling around' throughout this book. The only small weakness I find in the volume is that Roberts may not have adequately explained the importance of "symmetry" or the "Monster" group (and its connection to "modular functions") for lay readers -- the "Monster" group is hard enough for even mathematicians to comprehend! -- and it does get plenty of mention in these pages, as Conway himself admits he wishes he could understand it before he dies. I especially enjoyed the fleshing out of some of Conway's connections to other sharp thinkers. His relationship with Martin Gardner is well-known, but I learned in the book more about his connection, such as it was, to Stephen Wolfram, whose tome, "A New Kind of Science" is largely an AI focus on Conway-esque "cellular automata." More interesting, was his relationship with Douglas Hofstadter, who wanted to glean more from Conway about their overlapping cognitive interests (...but didn't). And there was also Conway's connection to the yearly "Gathering For Gardner" get-togethers with a host of top-notch mathematicians/magicians/recreationalists (in honor of Martin Gardner). And Conway's love for the ladies (almost as great as his love for numbers) gets covered a bit as well. The book, especially the second half, is also peppered with a surprising number of guffaw-inducing moments, sometimes about Conway, but often just from his own droll commentary. Toward the end of this volume, fuzzy associations between John Conway and Georg Cantor drifted into my thoughts: both with single syllable first names followed by 6-letter, 2-syllable last names beginning with "C;" both quite enamored of infinity. Cantor though was driven insane by the same obsessive pursuit of numbers that innervates Conway; and Cantor was often rebuked by his peers, while Conway is fully-appreciated in his own time. Occasionally, reading about the likes of a Conway or Cantor, or Erdös or others, and their driving passion for numbers, such geniuses seem transcendent, attaining salivating peeks of a realm inaccessible to the rest of us. A famous phrase invoked following the Space Shuttle Challenger tragedy referenced 'slipping the surly bonds of Earth to touch the face of God' -- and sometimes, in this book, I almost fancied Conway doing just that, merely through the power of thought! One of the few downer notes in the volume is the telling of Conway's suicide attempt in the 1990s; a reminder of how ubiquitous and stealthy clinical depression is. Another sad note is Martin Gardner passing away shortly before Siobhan and Conway were to pay him a visit. Overall though, the book gets better and better (and more joyous) as it rolls along. I especially liked the final two chapters: Chapter 16, recounting Conway at a MathCamp for youngsters in 2003 (when "he was 65 going on 16"). And Chapter 17 covering Conway's "Free Will Theorem," which deduces that the Universe is neither deterministic nor random, but governed by a third state of 'free will' (and I was also happy to see him label as nonsense the philosophical attempt to reconcile determinism and free will known as "compatibilism"). The chapter ends with Conway submitting to neuroscientific MRI studies of his own brain. Finally, I'm not ashamed to say that when I finished the "Epilogue" to this touching biography I had a tear in my eye! 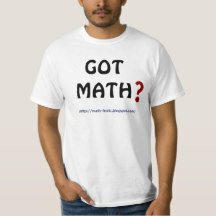 (unusual, no, for a math-related book)... I didn't want this book about math, and one man's humanity and passion, to end... a very flattering, but also very human, portrait ("warts and all") of... a child at play! Thank you Siobhan Roberts and Bloomsbury Press for bringing it to us. 11) I haven't found time to swing by Mike's Math Page this week... but am sure there's some good stuff THERE! sidenote (heads-up! ): apparently Jordan Ellenberg, Jo Boaler, and Steve Strogatz will be on TODAY'S edition of NPR's "Science Friday."